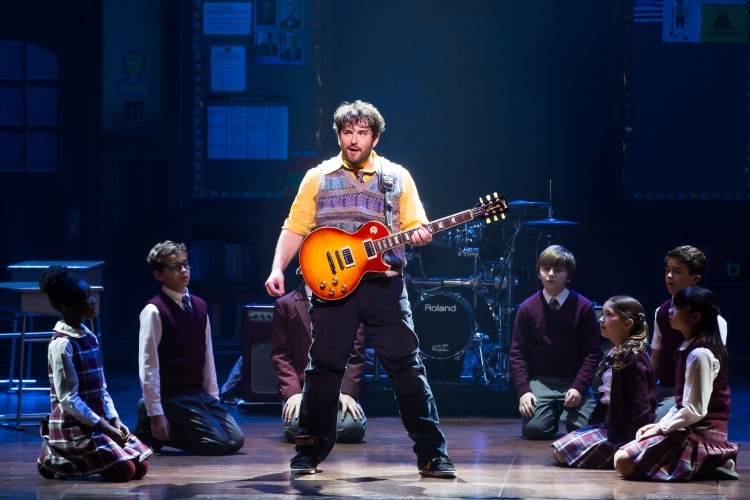 Andrew Lloyd Webber is back on top with School of Rock the Musical, a bona fide Broadway hit. 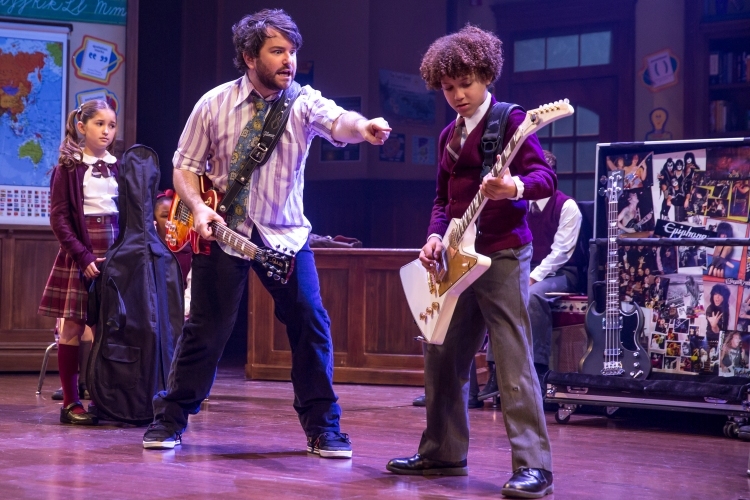 Webber has returned to his rock roots with School of Rock, penning a score full of instantly catchy rock tunes. Even the school anthem is highly hummable. Writing his own orchestrations, as ever, Webber’s work here brings to mind the great guitar riffs in Jesus Christ Superstar. Always with an ear for the pastiche, he cleverly works in some of music’s best-known rock phrases, such as “Satisfaction,” as well heavily sampling Mozart’s “Queen of the Night” aria for the operatic headmistress (played by Webber favourite Sierra Boggess). Wisely surrounding himself with the best, Webber has lyrics by Glenn Slater (Sister Act, The Little Mermaid) and book by the masterful Julian Fellowes (Downton Abbey, Mary Poppins). Slater proves a terrific partner, accommodating Webber’s penchant for reprising melodies by providing lyrics that provide a twist, or at least a new spin, when a tune is repeated. Fellowes masterfully sets up any number of threads that all lead to terrific pay-offs at the end of the night. Who doesn’t love to see the little quiet girl finally sing, or the stuffy headmistress finally let down her hair, or the sappy boyfriend finally speak up himself, or the busy corporate Dad finally tell his son he is proud of him. The writing team has come up with some sensational numbers, such as the first time Dewey assigns each of the kids their role, “You’re in the Band,” as well as the band’s songs “Stick it to the Man” and “School of Rock.” The overlapping children’s home stories make “If Only You Would Listen” the sort of perfect, concise sequence only possible in music theatre. Further members of the creative team include prolific Broadway designer Anna Louizos, prolific Broadway lighting designer Natasha Katz and prolific Broadway sound designer Mick Potter. Louizos’ scenic design is quite spectacular, and her costumes are witty and colourful. Katz’s lighting frequently provides the essential rock concert vibe, with particularly beautiful framing for the rock stage of the finale. 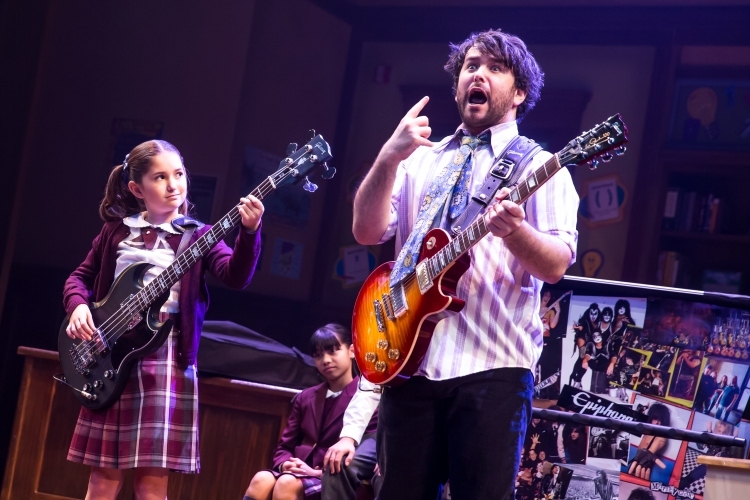 The large scale of production means School of Rock would be one of the few musicals that could actually look good in Melbourne’s mighty Regent Theatre. Presiding over this hefty undertaking is highly experienced director Laurence O’Connor, who has honed his craft on many a mega-musical. O’Connor generates incredibly high energy levels, and has clearly worked with each member of the creative team to achieve seamless transitions for a highly cinematic flow. Scanning the Playbill for which children’s cast was on at this performance, it was a surprise to find that all the roles are single-cast. The level of talent of these young performers cannot be overstated. The singing, dancing and acting required are massive, but when live playing of musical instruments is included (for around half the children) the combination is incredible. 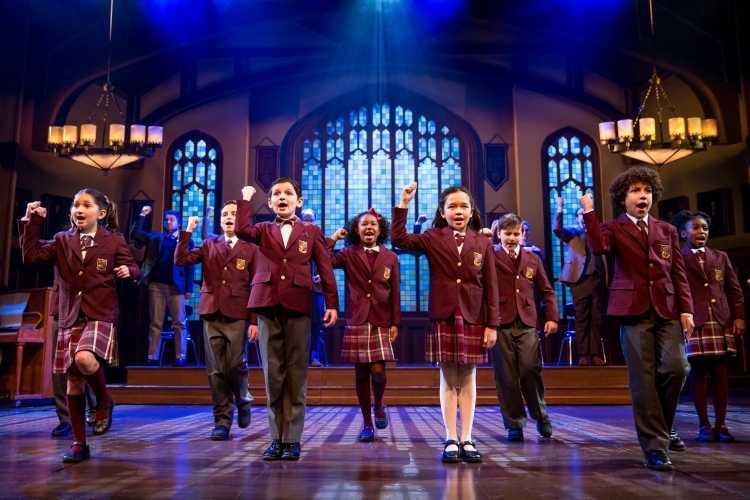 The joint work of Fellowes and O’Connor, along with the talent of each young performer, means that a large number of individual characters are created within the 13 children. In this regard, the child characters are certainly more rounded than most of the adults, but, then again, School of Rock is the children’s story. 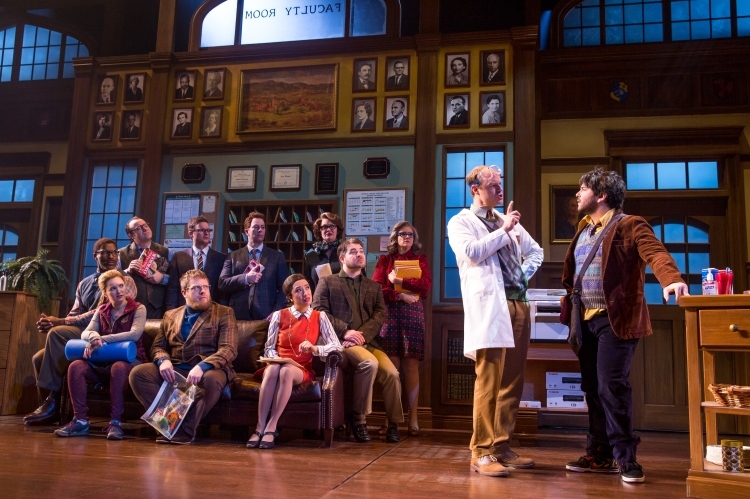 The lead role of schlubby faux-substitute teacher Dewey was played at this performance by Jonathan Wagner. The vocal demands of the role are extraordinary, and Wagner soars through song after song, even providing plenty of sound acoustically at one point (during one of several sound faults throughout the evening). For a role that has a catalogue of highlights, the pinnacle must be the sequence where Dewey first explains to the class the song he wrote, playing all instruments and singing all vocals. Wagner is sensational overall, nailing the music, the energy, the humour and the romance, all the while keeping the audience totally on his side all night. Boggess is rather too young for the role of Principal Mullins, but has the chance to make some use of her crystalline soprano voice. 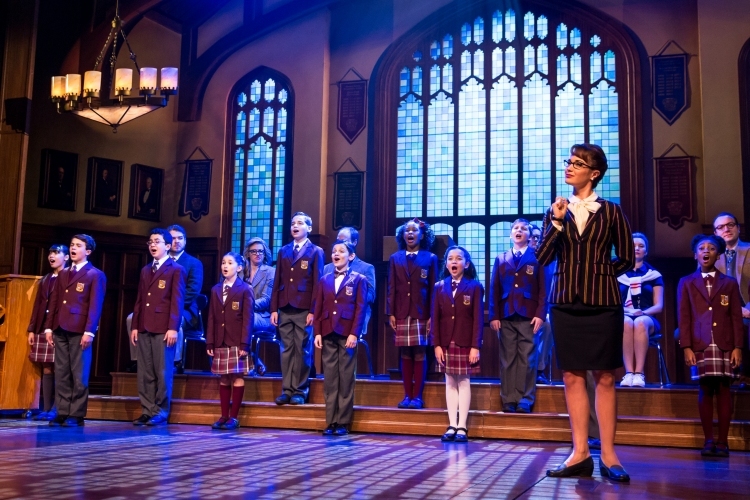 School of Rock serves the dual admirable purposes of attracting young people to learning musical instruments and attracting young people (and, indeed, people of all ages) to Broadway. Long may it reign. 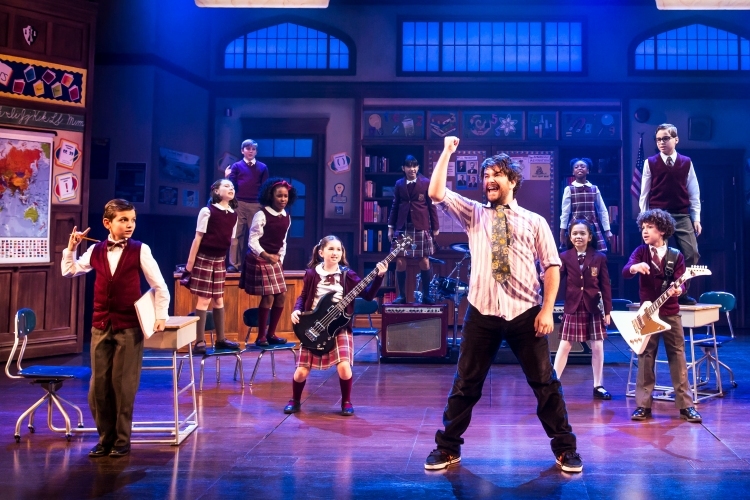 School of Rock was reviewed 7.30pm Friday 1 April 2016 at Winter Garden Theatre, New York. Great review, our team always wanted to see this on Broadway but we’re really pleased to see it’s coming to the UK in October 16! Hope it’s just as good as all the Broadway reviews we’ve seen. Thanks Carly. I’m really looking forward to seeing School of Rock again at the New London Theatre when I’m visiting London in January. Hoping the show will come to Australia soon as well.